For percussionists, who are perpetually balancing logistical challenges with artistic ambitions, the music of Philippe Manoury is a high stakes proposition. The visionary works on this album require an immense variety of resources. Three of these tracks are scored for Sixxen, a set of six instruments which must be built from scratch. The rest of the album is scored for marimbas, a vibraphone, and large, chromatically tuned Thai gongs. The works on this album are remarkable musical statements – nothing else written before or since sounds quite like this music. Manoury creates unimaginable sound worlds, drawing on his long history of composing electronic music to inspire the sounds of these purely acoustic works. Despite all the challenges of logistics and execution, this music achieves incredible clarity, evocative textures, and intriguing colors. 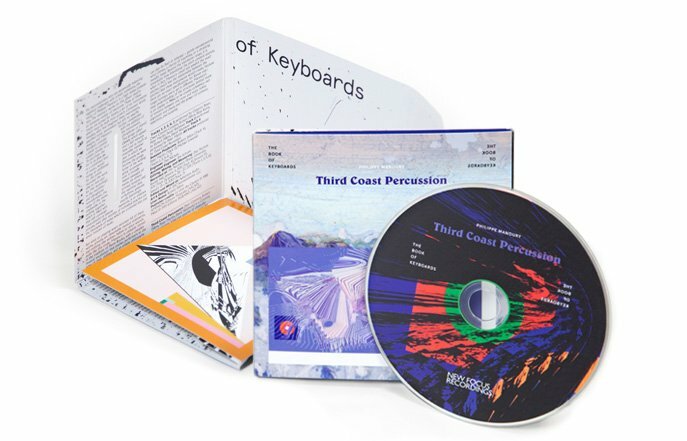 Our hope is that this album – over 6 years in the making – will bring this unique and brilliant music to more ears, and inspire more percussionists to find opportunities to take on the exhilarating challenge of bringing this music to life. Purchase The Book of Keyboards.